Whether your design is complex and genred or modern and minimalistic, with IceyDesigns, you can count on it being a reflection of you and your unique personality. No two people are alike, and IceyDesigns believes your design should follow that same motto. I design for Wordpress, Blogger, Tumblr, and HTML websites. 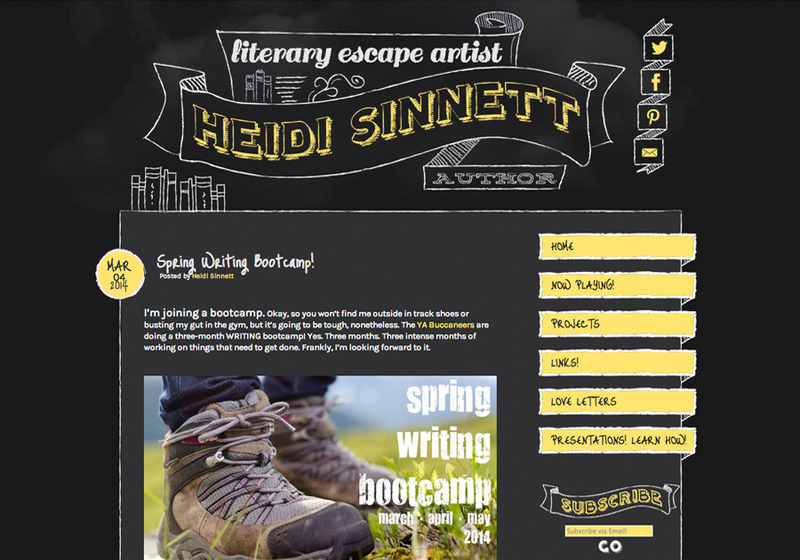 Redesign for author Heidi Sinnett featuring hand-drawn 'chalkboard' elements.